Since taking over the reins of the engineering department in January 2018, Jacques Lajoie has initiated a development management plan. With wind in the sails and having increased their sales figures by over 40 per cent in the course of the past two years, Carbotech must ensure that its organizational structure follows as well. For these same reasons, Carbotech is proud to announce that Pierre Lafond and Michel Duchesne have joined the Carbotech’s troops along with Jacques Lajoie. Duchesne will hold the title of project manager for automation and control. One of his key missions will be to ensure the technological and electrical implantation of equipment at Carbotech. As for Pierre Lafond, he is joining the management team in the role of project management director. With over 15 years of experience in the industry, Mr. Lafond will ensure the supervision and efficiency of all projects being implemented by Carbotech. With a bachelor’s degree in mechanical engineering from Montréal Polytechnique Technical University, Lafond has extensive experience in the sawmill equipment industry. His enthusiasm, analytical structure, and expertise across various sectors in the sawmill industry confirm that he is the right person to solidify and push Carbotech forward. Duchesne joins the engineering and R&D team with an impressive wealth of experience and knowledge. With a certificate in electricity and in communication, he has spent the past 30 years in developing, improving and integrating technology and mechanical equipment. 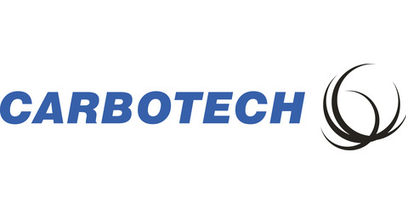 Specialist in automation processes, his strong experience in corresponding industries will ensure the long-term sustainability of Carbotech’s equipment. The entire Carbotech team welcomes both new employees and wishes them great success!